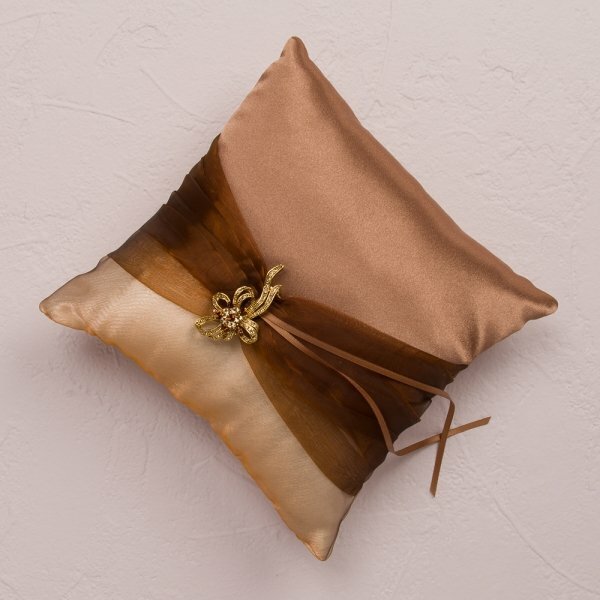 Elegant Bronze Gold Ring Bearer Pillow in satin features sheer bronze fabric gathered with a decoratively bow to create a supremely elegant look. 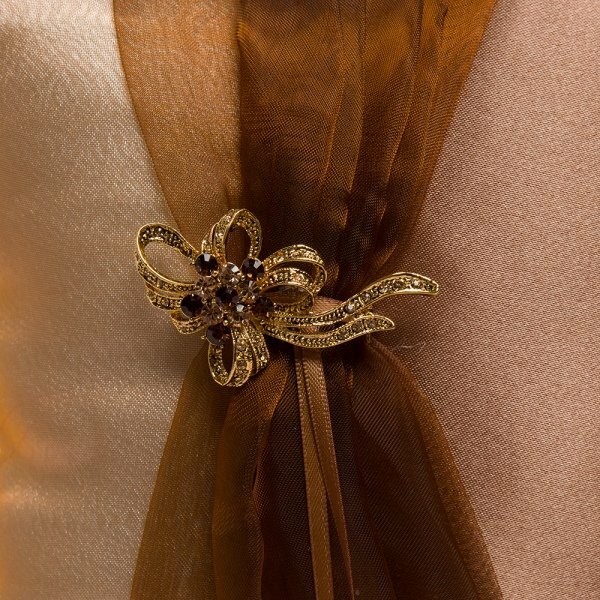 The rings are held in place by a bronze satin ribbon. 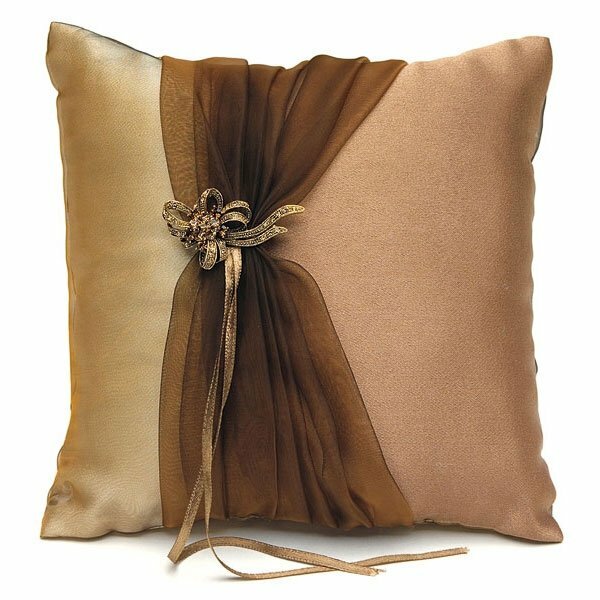 The basket is a sophisticated piece featuring the rich bronze fabrics and vintage inspired trim - including an attractive bow charm. 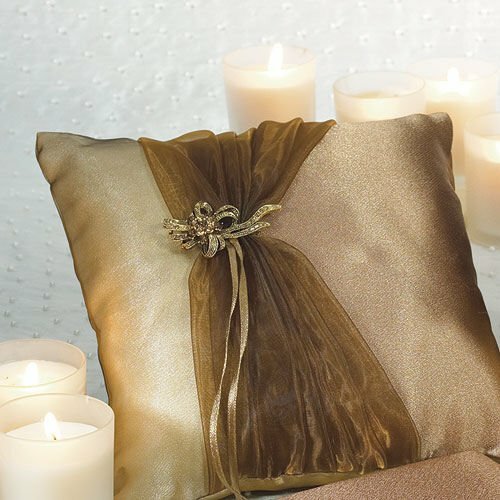 It will look stunning against a dramatic autumn backdrop. 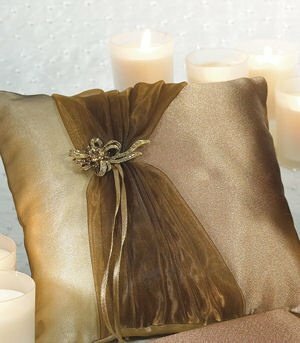 Pillow is 8" square.